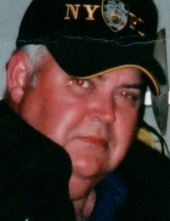 Wesley "Butch" Howard Nelson, Sr. Celebrating the life of Wesley "Butch" Howard Nelson, Sr.
Be the first to share your favorite memory, photo or story of Wesley "Butch". This memorial page is dedicated for family, friends and future generations to celebrate the life of their loved one. Obituary for Wesley "Butch" Howard Nelson, Sr.
On Saturday, January 12, 2019, Wesley Howard Nelson, Sr., beloved husband, father, grandfather, and brother passed from this life into the arms of his king, Jesus. Affectionately known as Butch to family and friends, he was the son of the late Joseph Howard and Margaret Cooke Nelson of the Luna Lake Road community. On June 9, 1967 he married the love of his life, Priscilla Lovelace Nelson. They shared 51 years of happiness together with three sons and five grandchildren. Butch retired from Goodyear Tire and Rubber Company after working for 32 years and was a graduate of Danville Community College, being certified in heating and air conditioning. He was an avid hunter and fisherman and enjoyed many days on the lake with his children, grandchildren, and friends. Bluegrass music was his favorite and you could often find him at events in the Brosville neighborhood where he lived. Always the devoted husband and father, Butch coached his sons ball teams and was very involved with them in the Boy Scouts. He was a member of Cascade Baptist Church where he served as an usher. Butch is survived by his wife Priscilla, three sons, Wesley, Jr. of Danville, Va., Steven (Jenna) of Holly Springs, NC, Christopher (Teresa) of Axton, Va. and sister, Judy Yeaman and husband Kenneth of Danville, Va., as well as four grandchildren, Caleb Nelson, Wesley Nelson, III, Whitney Nelson, and Nora Nelson. He was predeceased by his parents, a grandson, Christopher Nelson, Jr. and a sister, June Bond. Funeral services will be conducted by his Pastor, Wayne Mayberry on Wednesday, January 16, 2019 at Norris Funeral Services, West End Chapel. Interment will follow in Danville Memorial Gardens. The family will receive friends for one hour prior to the funeral service, 1:00 – 2:00 p.m., at Norris Funeral Services, West End Chapel, and at other times at the residence, 676 Rockwood Dr., Danville, Va. In lieu of flowers the family respectfully requests that memorial donations be made to the Church he loved, Cascade Baptist Church, 3664 Huntington Trail, Cascade, Virginia 24069. Norris Funeral Services, Inc. and Crematory, West End Chapel, 511 Church Ave. Danville is serving the Nelson family. Online condolences may be made at www.norrisfuneral.com. To send flowers or a remembrance gift to the family of Wesley "Butch" Howard Nelson, Sr., please visit our Tribute Store. "Email Address" would like to share the life celebration of Wesley "Butch" Howard Nelson, Sr.. Click on the "link" to go to share a favorite memory or leave a condolence message for the family.